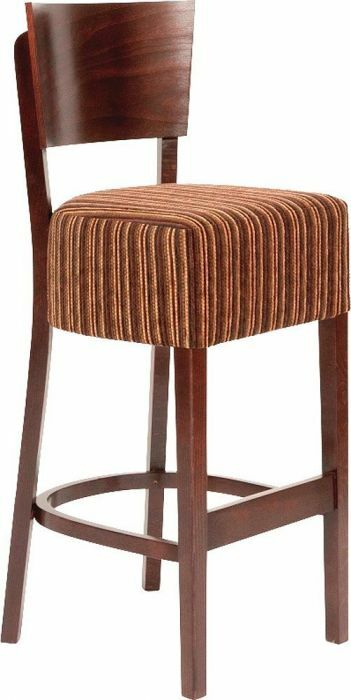 This is a very stylish stool with a designer back and comfortable padded cushion. Solid construction. Unique design with a curved back rest for extra comfort. This is a stock item with a 3-5 working day lead. 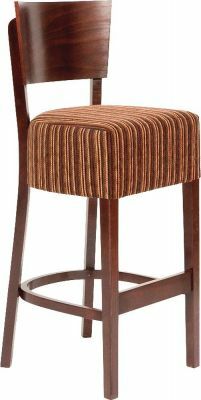 Solid wood construction, available with solid wood seat in UK wood finishes. Complete with upholstered seat in Draylon, Faux Suede or BP Faux Leather.